This month I received more items than usual. This is because some of the boxes differ slightly. Some will contain alcohol and others won’t. Therefore if you sign up for a box you will usually receive between 10-15 items monthly but mine this month has more as its a combination of all the available products. 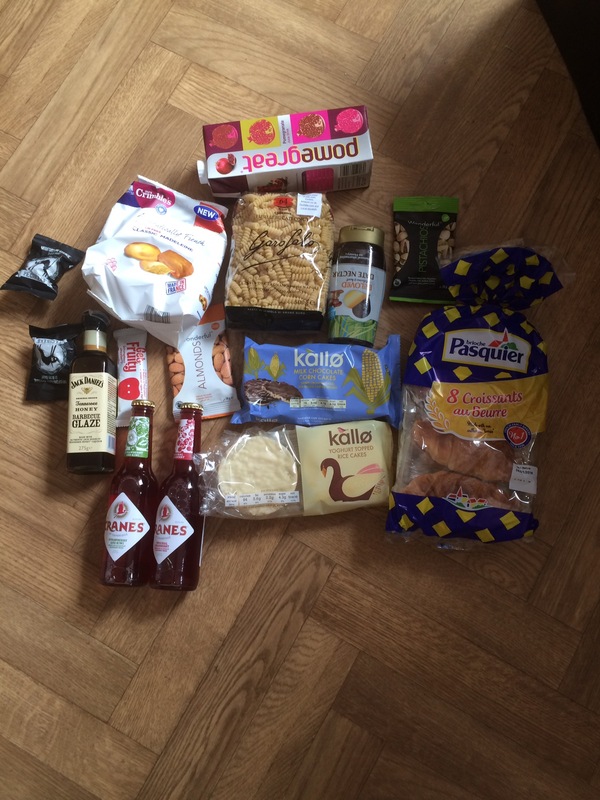 May box bought with it, a lovely variety of sweet, savoury, cupboard items and drinks too. 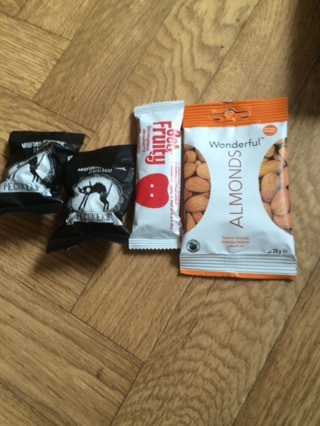 Degustabox is always full of variety. 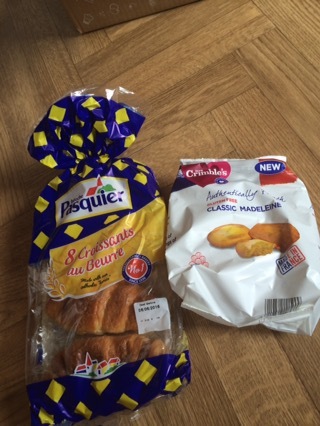 “Product of the month” Brioche Pasquier – This is a brand we are very familiar with. Brioche do a range of French style breakfast treats and this time it’s “all butter croissants”. We love these warmed up in the microwave and they are lovely alone or with a dollop of chocolate spread. £1.80. Next to the Brioche are “Mrs Crimbles classic Madeleine’s. These are gluten free treat size cakes. 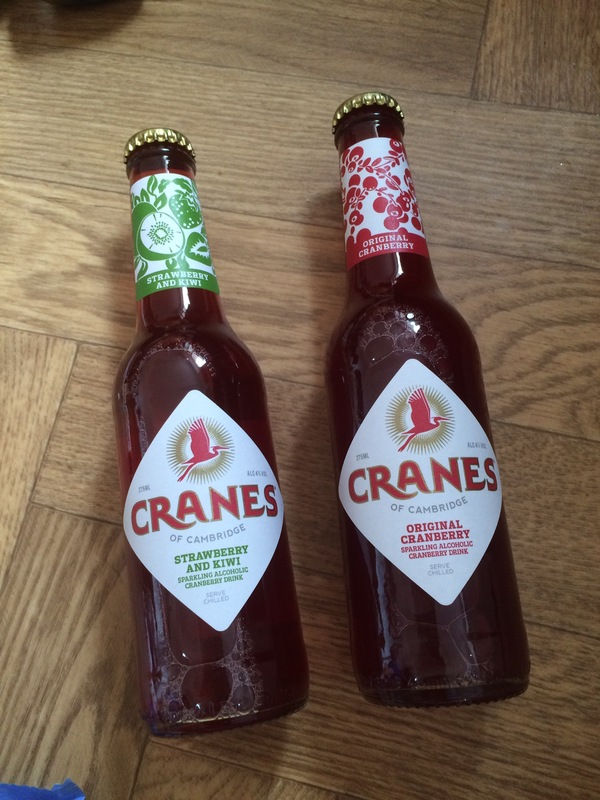 Cranes alcoholic drink – Cranes is not something I have heard of before. I am not a big drinker of alcohol but this is quite nice and refreshing. Especially served ice cold on a warm day. It is made with crushed cranberries so fairly healthy too. It is also low in calories, high in natural juices and comes in three flavours. £1.90. 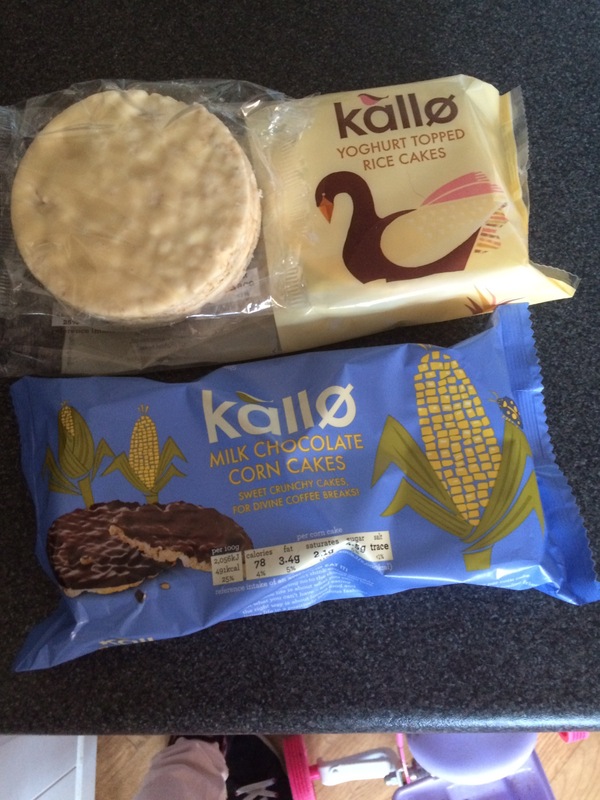 Kallo – We all really like these coated rice cakes. They are big and full of yummy flavour, in this instance it is yoghurt coated rice cakes and milk chocolate corn cakes. £1.29/£1.69. Get Fruity – A combination of fruit and oats in a bar. The bright fruity packaging will possibly appeal to children. It’s all natural stuff and a good alternative to less healthy bars. £0.90. Pechkeks fortune cookies – I actually came across these a few weeks back at the Blog on MSI conference. I did wonder if it was some sort of joke shop novelty trick food. What you have are black fortune cookies but instead of a nice message of luck or wisdom inside; It will more likely be something a little crude or humorous. £1.00. Pomegreat – Another product made from fruit grown in California orchards. A very sweet tasting, refreshing carton of juice. £1.49. Garofalo pasta – From Italian pasta makers Garofalo. Corkscrew shaped pasta made with quality drum wheat. Much softer and better tasting than ordinary supermarket shelf stuff. £1.99. 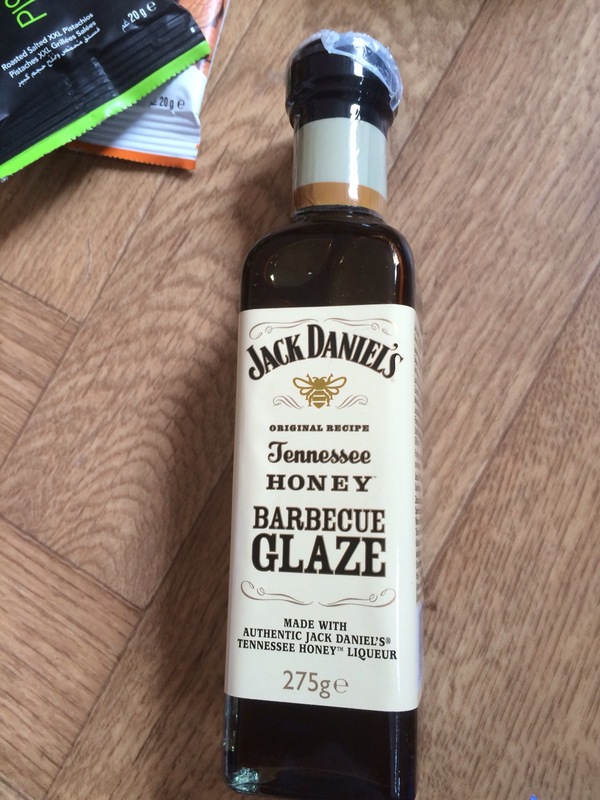 Jack Daniels – Not quite the drink itself but a Tennesee barbecue honey glaze. It has mild flavours of the Jack Daniels drink and hints of honey. Good for dipping, glazing and barbecues. £1.99. And that concludes my May Degustabox reveal which I really enjoyed opening this month. 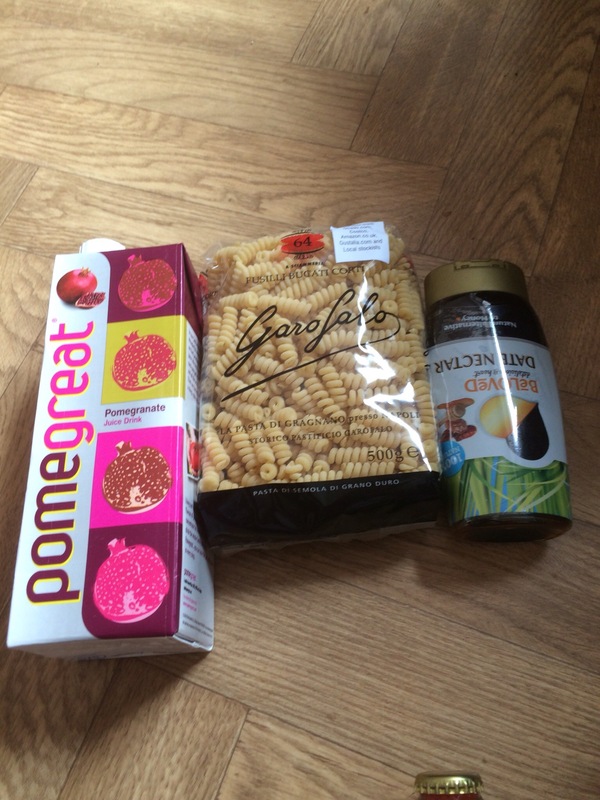 Buy Degustabox for just £6.99 using code BLDEG15 usual price is £12.99 including postage.